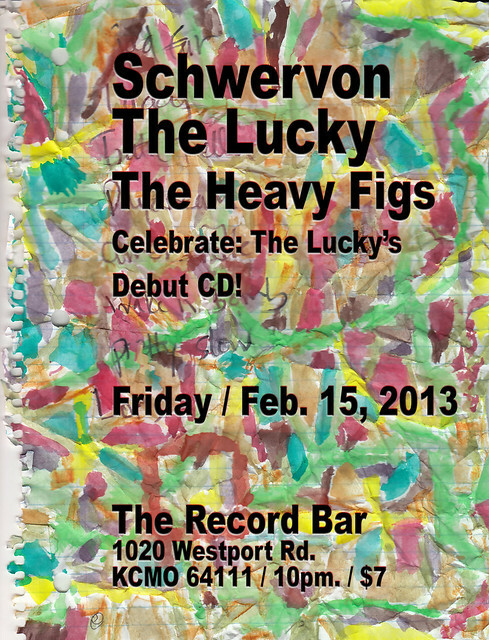 Schwervon + The Lucky + The Heavy Figs @ The Record Bar/ Fri. Feb. 15 / KC, MO | Schwervon! This entry was posted in Uncategorized and tagged Heavy Figs, Indie Rock, Kansas City Local Music, Punk, Schwervon!, The Lucky, The Record Bar. Bookmark the permalink.